Although it only ran for five issues, Marvel‘s You Are Deadpool, which wrapped last week, represented a huge creative step forward for comics. This seminal miniseries merged RPG mechanics and Choose Your Own Adventure-style interactivity with superhero action to push the boundaries of what comics can accomplish. And according to author Al Ewing, the whole thing started with a phone call. 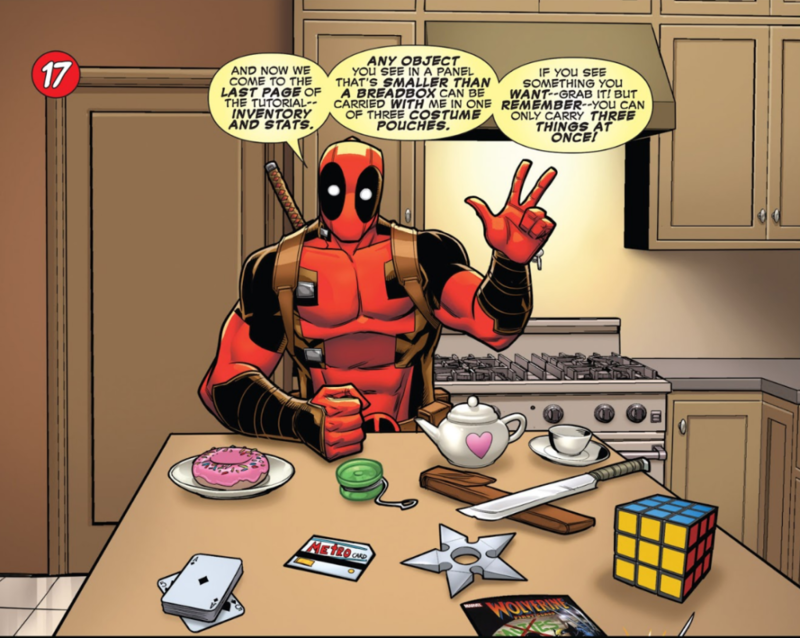 For Ewing, working on You Are Deadpool has solidified the unique capabilities of comics as a whole. “I think what comics do better than any other non-interactive medium is convey information. With a book,” he noted, “you’ve got to visualize everything yourself; with a film, you have limited time to process the visual information as it comes to you. When we turn a comic into a game, we can provide the player with all the information they need in an easy visual format, and they have all the time they need to process it. What was your favorite ending in Marvel’s experimental RPG comic? Tell us in the comments!